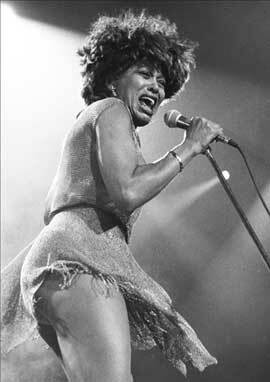 "I Don’t Wanna Fight" is a single from Tina Turner's album "What’s Love Got To Do With It". "I Don’t Wanna Fight" was first given to Sade. Sade passed it on to Tina. Tina decided to record it. At that time Tina’s Life Story movie came out, and they’ve used this song as ending credits in the movie. The reason was very simple. It matched her life story perfectly and the song was autobiographical. 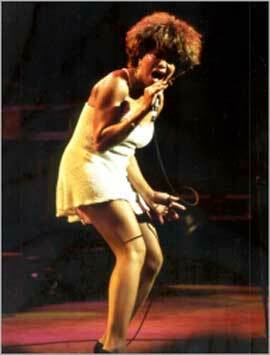 Lulu recorded the song herself as a b-side after Tina’s version was released in 1993. "I Don’t Wanna Fight" was released as the first single of the album and was a hit on both sides of the ocean. The song is about marriage trouble and breaking up, because it’s no use to keep a bad marriage going. Tina’s vocals were amazing, and the song gives you reason to think and sends shivers through your spine. This rare Promo CD Single was sent to radio stations and dj’s before the single was released. 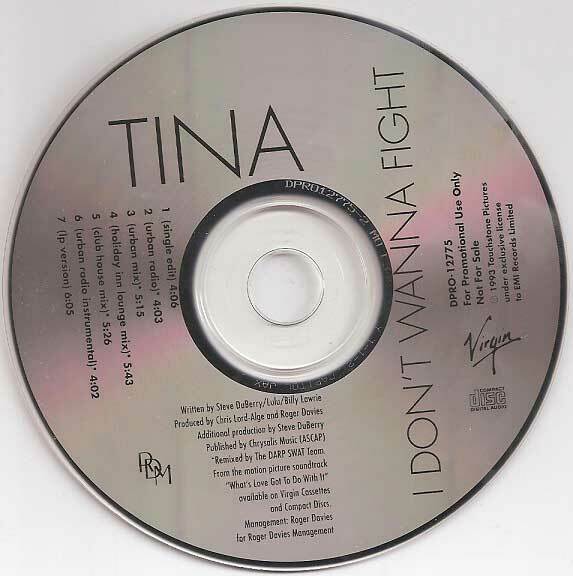 The CD Single includes also a lot of remixes of the song "I Don’t Wanna Fight". 1. I Don't Wanna Fight (Single Edit) - 4.06 min. 2. I Don't Wanna Fight (Urban Radio) Remix – The Darp Swat Team - 4.03 min. 3. I Don't Wanna Fight (Urban Mix) Remix – The Darp Swat Team - 5.15 min. 4. I Don't Wanna Fight (Holiday Inn Lounge Mix) Remix – The Darp Swat Team - 5.43 min. 5. I Don't Wanna Fight (Club House Mix) Remix – The Darp Swat Team - 5.26 min. 6. I Don't Wanna Fight (Urban Radio Instrumental) Remix – The Darp Swat Team - 4.02 min. 7. I Don't Wanna Fight (LP Version) - 6.05 min. This item is really a must have for every Tina Turner fan. You will be able to find it at online auction sites and record fairs. We have made a video for you of the Overnight Urban Remix to let you know how great this promo CS Single is. Enjoy!